In a potential mismatch, table-toppers Cobras host the Knights on Tuesday with a chance to extend their lead at the top of the table to six points. While the Cobras have done exceedingly well with the ball, the Knights have struggled to put out complete performances on a consistent basis, which sees them at the bottom of the table. 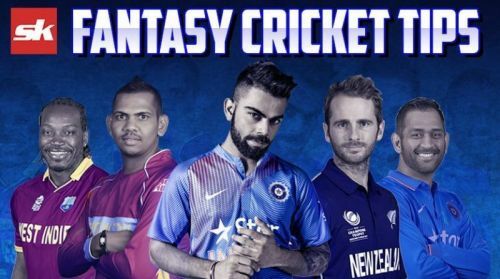 With the halfway stage of the tournament fast approaching, here are a few tips to help you pick your Dream11 team. No changes are expected from the Cobras after a good performance against the Dolphins last week. With a formidable batting unit consisting the likes of Hashim Amla, Janneman Malan and David Bedingham complements their bowling strength with Vernon Philander and Rory Kleinveldt leading the way. After a washout in their previous game, no changes are expected from the Knights as well with Ottneil Baartman and Ryan McLaren doing well with the ball before rain played spoil-sport. Without Rudi Second, Knights have an uphill task of upstaging the table-toppers but do have the necessary talent in the side in the likes of Raynard von Tonder and Pite van Biljon. A competitive wicket is on offer with the T20 played between Sri Lanka and South Africa in mid-March seeing a Super Over take place and a similar kind of a pitch was seen last Sunday with the Cobras defending 152. Off pace deliveries are the order of the day while batsmen should find their touch once they apply themselves early on. Wicket-keeper: Kyle Verreynne's form is too good to ignore with talks of Verreynne even being in the national scheme of things, he should be preferred over the Gous for this match. Batsmen: Two of Amla, Malan, and Bedingham should be picked in the side while the Knights duo of Raynard von Tonder and Pite van Biljon are must have players in the side considering their ability to rotate the strike and accelerate when necessary. Allrounders: Ryan McLaren and Pat Kruger are great options to have while Vernon Philander's all-round performances of late are too good to ignore for this match. Bowlers: Rory Kleinveldt and Dane Paterson are must have players in the side with their international experience and form coming into play. Ottneil Baartman has also picked wickets regularly and should complete the bowling department. Captain: Hashim Amla is due for a big one and should be backed as captain while Ryan McLaren and Vernon Philander are also great options to this competitive wicket.